What’s a community to do when its level of college attainment is low, but the local economy demands an education? Meet a group that’s seeking to transform the region through this promising scholarship. 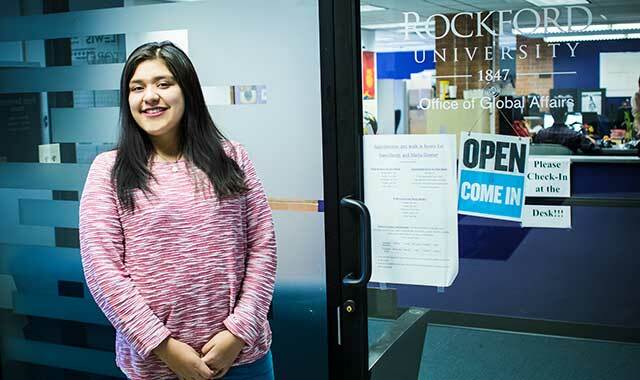 Alondra Torres, of Rockford, is pursuing her dreams at Rockford University. Alondra Torres dreams of becoming a pediatric oncologist. It’s a tough road ahead, and one that can feel daunting to someone from a low-income background. But thanks to an innovative new scholarship, this Rockford University freshman is now traveling a far more certain road. Last year, Torres was one of five Rockford Public Schools graduates to receive the Rockford Promise scholarship, which is aimed at low-income families and provides a nearly full ride to either Rock Valley College or Rockford University. 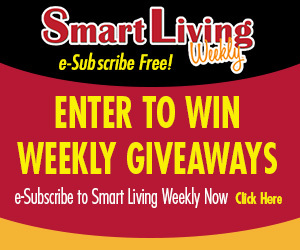 “This gives me the opportunity to save my money. Because my goal is to be an oncologist, and it takes a lot of schooling, this means I won’t have to spend as much money or work a lot on the side,” says Torres, who was born in the U.S., the daughter of Mexican immigrants. Just as Rockford Promise is transforming Torres’ life, this scholarship is helping to transform our region. In its effort to create a strategic plan for Rockford’s self-improvement, the nonprofit Transform Rockford has identified some 65 projects, including Rockford Promise, that have the ability to radically reshape our region. Many are the product of three years’ worth of volunteer-led roadmapping, research and strategizing. Rockford Promise isn’t new to the area, but it’s been re-energized thanks to support from Transform Rockford leaders like the Rev. Dr. Matthew Johnson, a Promise board member and senior minister at Rockford’s Unitarian Universalist church. The scholarship is based on a concept launched in Kalamazoo, Mich., that supports low-income students at 15 state universities. Last year, five Rockford-area students received a Rockford Promise scholarship. Johnson expects 10 more students to receive one next year. Rockford Promise covers tuition in combination with state and federal grants, community scholarships and school contributions. It doesn’t, however, reduce the cost of tuition. Making all colleges affordable and accessible to young people is important to Walker, but she recognizes it’s a double-edged sword. It’s an important priority for Bob Guirl, too. Formerly the director of UTC Aerospace Systems in Rockford, Guirl now is an independent education consultant. He chairs Alignment Rockford and leads Transform Rockford’s education team. After three decades in engineering, Guirl recognizes how Rockford’s low educational attainment statistic poses a challenge. Walker recognizes the economic benefits that come with an education, like higher incomes. She also knows how college expands one’s world. Torres’ success as a Rockford Promise scholar is a daily reminder for her two sisters and parents. “I want to show my family what I can do, and prove to them that my parents’ leaving everything behind gave me far better opportunities,” says Torres. For more information, visit TransformRockford.org and RockfordPromise.org. This entry was posted on Thursday, March 30th, 2017 at 11:58 am	and is filed under Northwest Business Magazine. You can follow any responses to this entry through the RSS 2.0 feed. Both comments and pings are currently closed.